The Seahawks officially filled out their 10-man practice squad with a pair of signings on Tuesday. 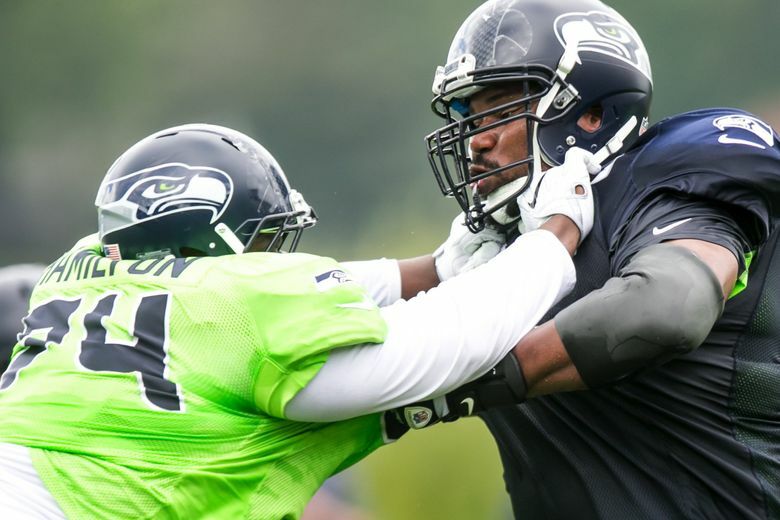 The Seahawks on Tuesday officially filled out their initial 10-player practice squad for the 2016 season by adding defensive lineman Justin Hamilton and offensive tackle Takoby Cofield. Hamilton was with the Seahawks during the preseason and was part of the 53-man roster on Saturday until being waived a day later when the team claimed defensive tackle Garrison Smith on waivers. Cofield was an undrafted free agent out of Duke in 2015 who spent last year on Washington’s practice squad and was waived last week by the team. Cofield signed in May, 2015 with Washington after receiving a $25,000 bonus, the largest given to any undrafted free agent that year (here’s some good background on Cofield). Those two join eight other practice squad players announced earlier: WR Marcus Lucas, LB Jordan Tripp, DE Tylor Harris, WR Kenny Lawler, LB Kache Palacio, G Will Pericak, WR Rodney Smith and WR Kasen Williams. All but Smith, Lucas and Tripp were with Seattle during the preseason. Lucas was with the Panthers in camp, Tripp with the Jaguars and Smith with the Cowboys. Lawler, Palacio, Williams, Pericak and Harris were all waived by the Seahawks on Saturday, but after clearing waivers were free to return to Seattle’s practice squad. Practice squad players get at least $6,900 a week (they can be paid more but most make the minimum). The Seahawks also announced they had reached a settlement to waive receiver Deshon Foxx off of Injured Reserve.